Print, laminate, and cut! Great literacy center. Students will match the correct egg/basket homophone set! 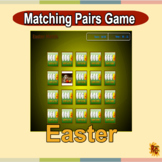 Easter - Matching and Memory Game - 11 pairs! 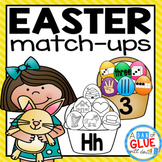 Easter Memory and Matching game with 22 cards! Print, cut, and laminate cards for students to play a memory game. This is great for visual discrimination and memory! 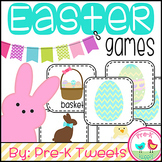 Check out my store for more Easter and memory game printables. Follow me for new items added every week! 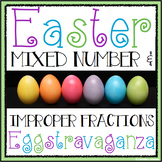 This product is perfect for Easter! 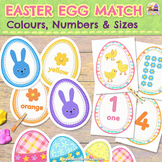 It includes pairs of Easter egg pictures that you can print, laminate and cut out to use in a memory matching activity. You can also attach it to a file folder for a file folder matching activity. 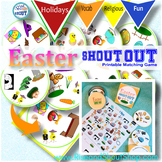 Kids use visual discrimination skills to match Easter related images.Print two copies (one as the board, the other for pieces)Laminate or print on cardstock for longer useUse clear Velcro dots for easy storageThese will also be included in my upcoming Holidays Match Bundle coming soon! 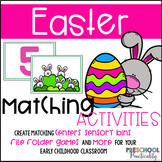 Easter Matching Activity is a fun and engaging way to work on play and leisure skills. Print off 2 copies of the cards and play a matching game. 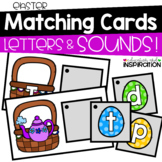 Print off the cards and use them to discuss themed vocabulary. Social questions are also included to discuss the holiday. 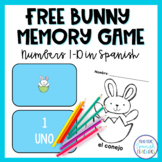 Free Easter Matching Game in Spanish! Sunday Funday Freebie! 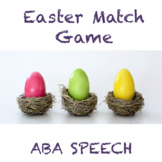 A simple 1:1 Easter-themed match for early learners and learners with special needs.